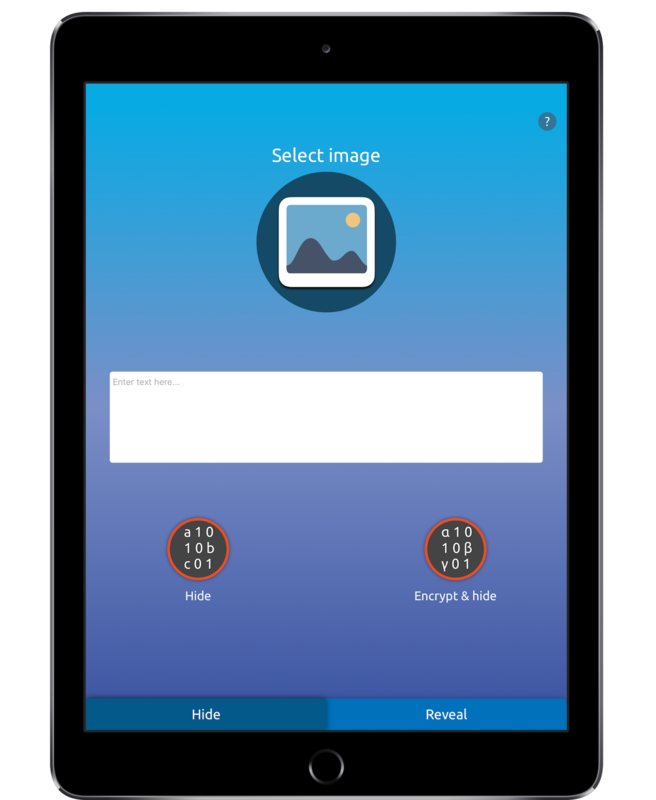 Secure your sensible messages in pictures using a clever technique named steganography. We implemented a personal version, developed by our cryptographic team. 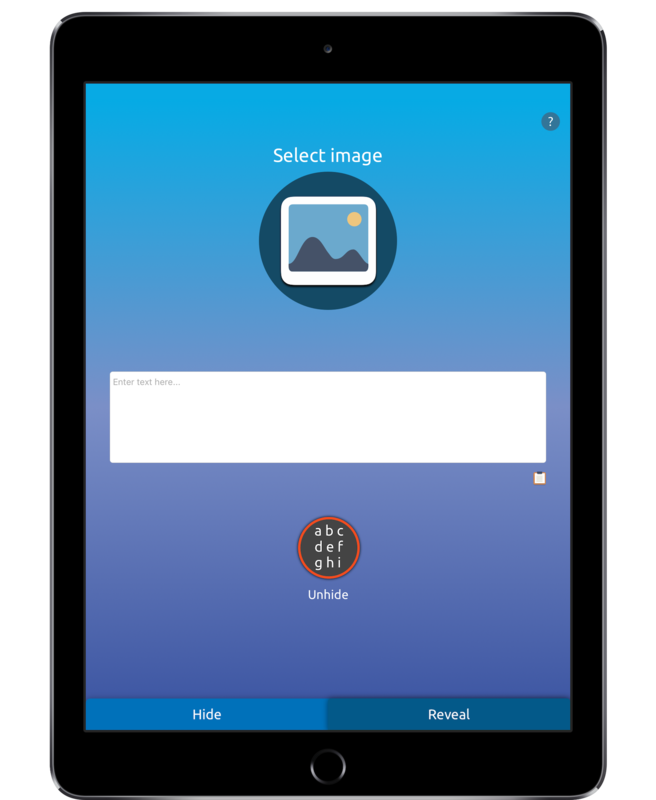 You can hide and encrypt your messages before hiding them in images. Both algorithms, the one used for encryption and the one used for hiding information into images are advanced algorithms capable to withstand cryptographic analysis and allow the transport of secure information inside of image files. Changes made to the picture are not visible with the naked eye, so nobody will be able to tell if there is any text hidden in the image. 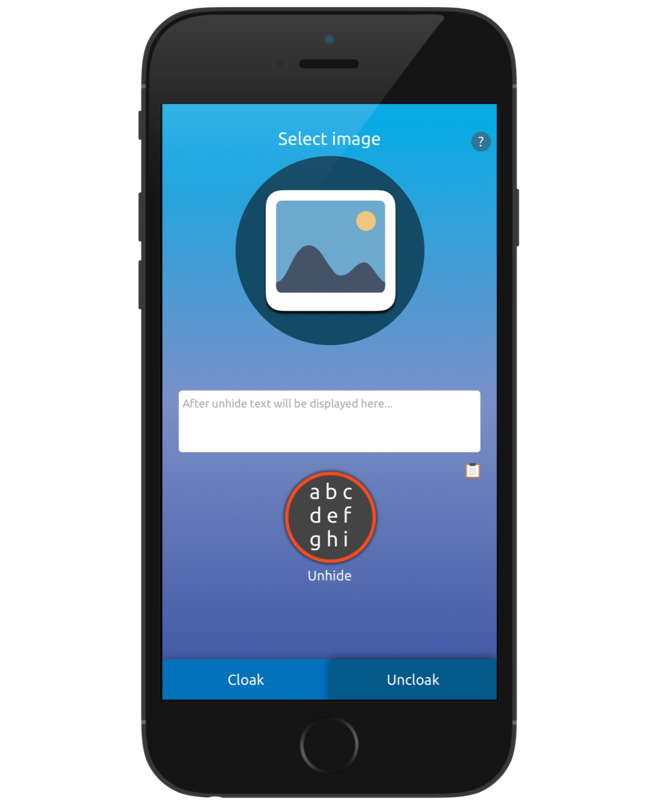 As long as there is hidden text in images, Cloak will reveal it or decrypt and then reveal the text for when the text is encrypted. 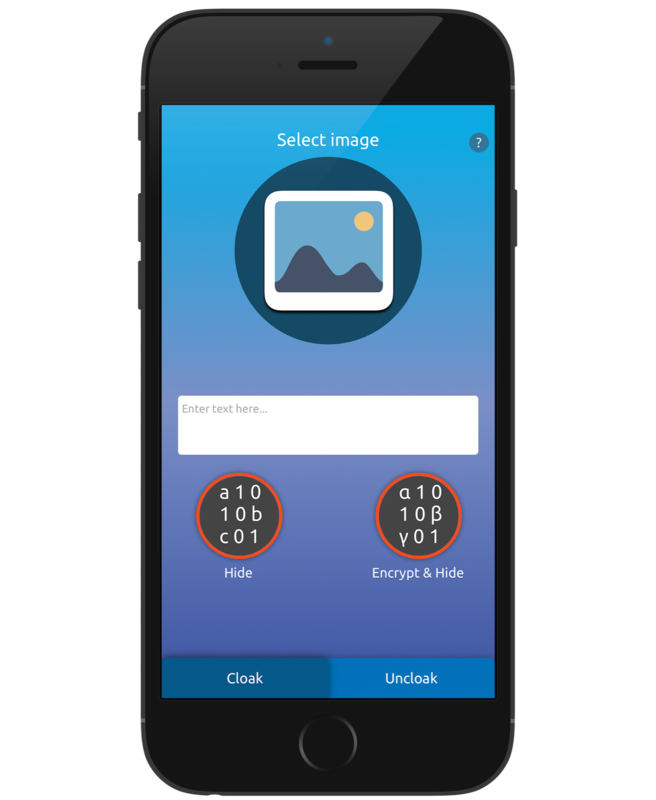 Otherwise, Cloak will tell you what the problem is so you don't need to worry about not trying to reveal text from an image that does not have any, or encryption key not being correct or any other error. Besides powerful algorithms, it uses an advance error detection system designed by us so any error that my occur during cloaking process will be briefly explained.